So you took home two copies of Awakening, but did you have time to play? You’re so busy. That must be the end-of-the-year production schedule we hear about in the publishing industry. Right. I’d done two weeks’ worth of work, so I had two weeks off. I was going abroad to unwind, so I started playing the game on the flight there. What did you think of Awakening? That’s right. So I looked into the work I had planned, and the schedule was really crazy, but there were a few things I could push back. And they told me that I only needed to write 10 pages for each of the three storylines. Right. Since he’s so busy, I thought we could just ask him to write about 10 pages for a plot summary. So I thought, “Well, I could do that.” Then I started writing the story about the Hoshido family – I ended up using 10 pages on just the beginning. I ended up writing about 500 pages. When I create a story, as I write the details, like the character’s lines, I start to love the characters and then they take on a life of their own, and the story begins to move on its own. So there was no way I could just write a short plot summary, and be done with it. And without lines, the characters won’t come to life. That’s right. So I ended up writing a huge amount and I thought, “Well, this has become quite the task.” So I gave them the pages for the initial storyline for the Hoshido family, and I had to write the same amount for the other two stories. I said, “There’s no way I can do that.” But then once I got started… I did it. I thought, “I really am an idiot.” But I kept going. I ended up writing so much that it could have been turned into about two books. You needed to meet your daughter’s expectations. That was part of it. If it wasn’t good, my daughter would be angry. And while I was writing, she kept asking, “How’s it going?” which made me feel like “I need to make this good.” So it kept getting longer, and it became a really elaborate story. Maeda-san, what did you think of the pages you got from Kibayashi-san? The sheer volume was shocking. Well, you had told him he only needed to write 10 pages, and he wrote 500. Right. When I read it, it was really interesting, but there was something else I was really thankful for. There are several restrictions that you need to do when it comes to turning a story into a game. 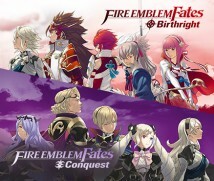 For example, in the Fire Emblem series, each chapter you go to a different map and have a battle. There are things that are a given in the Emblem series. Right. 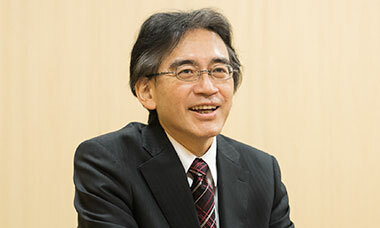 Although Kibayashi-san had never been so extensively been involved in the making of video games before, he considered all of those conventions when he wrote the story. He didn’t just write a lot, he wrote with an understanding of the conventions of Fire Emblem. That’s right. I was very grateful for that. Those kinds of conventions aren’t only found in video games though, they exist in everything, be it manga or TV shows or plays or movies. It may be due to the work he’s done in the various formats – not only manga, but TV series or kabuki plays – that allowed Kibayashi-san to be flexible, and really have a grasp of the pacing. You felt that right after you began writing. So I ended up writing a lot, but looking back, I realised it was because I’d got so deep into the world of the story. So… Shigesato Itoi-san26 has this thing he calls “omotsurai”27…26.Shigesato Itoi: Creator of the MOTHER series (known as EarthBound in Europe). 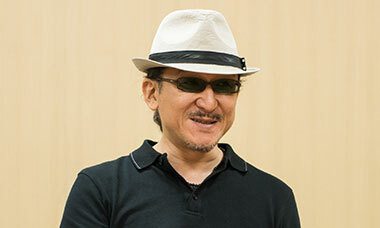 Famous for his love of bass fishing, he supervised the release of Itoi Shigesato no Bass Tsuri No. 1 (Japan-only release, Super NES, 1997). He runs the website Hobo Nikkan Itoi Shinbun. Shigesato Itoi also happens to be a very old friend of Satoru Iwata, and appears on Iwata Asks from time to time. For details, see Super Mario Bros. 25th Anniversary: Vol. 1: Itoi asks Miyamoto, Iwata Asks: The Legend of Zelda Skyward Sword: Special Edition: Creative Small Talk, and Iwata Asks: Nintendo 3DS: And That's How the Nintendo 3DS Was Made. 27. Omotsurai: Combines the Japanese words omoshiroi (interesting/fun) and tsurai (hard/challenging) to mean something that is fun but challenging. The word was coined by Shigesato Itoi, who first wrote about the fun-but-challenging aspects of bass fishing in his book, Seikatsu Gochō Seikatsu – Basu Tsuri ha Omotsurai. (published in Japan in 1996). And Maeda-san being such a big fan of Kibayashi-san that he revered him as a divine being; that they happened to meet at the end of the year, and that Kibayashi-san played Awakening while on his break, and that his daughter played it with him, and encouraged him to take the job… But I think the most important thing was that Kibayashi-san thought that it might be fun. That’s what made the words flow for him, and allowed us to see his true talent. Yes. I’m so thankful for that.